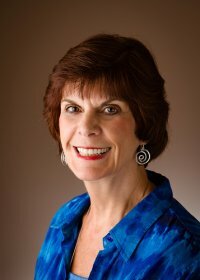 Linda is a Healing Touch Certified Practitioner and Instructor with over 30 years of experience in nursing. She is a board certified Psychiatric/Mental Health Nurse, a board Certified Professional Counselor/DA, and has a license in Clinical Social Work.She has a Masters in Counseling and a Masters in Divinity. Her diversified background includes teaching in a Hospital and University setting and has prepared her to advocate for the Mind/Body/Spirit connection. She has a Private Integrative Practice and provides Counseling from a Holistic perspective, Hypnotherapy and Healing Touch. Linda brings a sensitive and nurturing approach to her clients and students. She teaches Introductions to Healing Touch, Level 1 and Level 2 for the Healing Touch Program. Linda lives in Saint Louis, Mo. but is willing to travel to other states.